When you hear the company name “DENTOU KOUGEI (literally traditional craft),” you may tense up wondering what kind of traditional furniture are they making here, but once you visit the factory in Joge-cho, Fuchu City, you will instantly loosen up. The showroom of DENTOU KOUGEI CO., LTD. located in a village forest reached after traveling on a mountain road looks like a modern interior shop. Products of house-brands and are laid out very sparingly, and a soft warmth of wood exists in minimal frames having a dignified elegance as well as slick and smooth tables and chairs. “DENTOU KOUGEI” was founded in 1983 in Joge-cho, Fuchu City, where a culture of calligraphy has flourished since ancient times. They used to manufacture frames, folding screens, single-leaf screens, teaware, etc., for displaying calligraphy works. But as times changed in 2012, they started to manufacture furniture. At the beginning of 2015, they launched their own brand to manufacture tables and chairs, and made a full-scale shift to interior manufacturing.  The challenge of making furniture was triggered in part by a request from KOKOROISHI KOUGEI Co., Ltd., the leather sofa manufacturer in Fukuyama City. He wondered if they could make furniture. While struggling through that first request, he realized he had a special technique that was not available at an ordinary furniture manufacturing site. 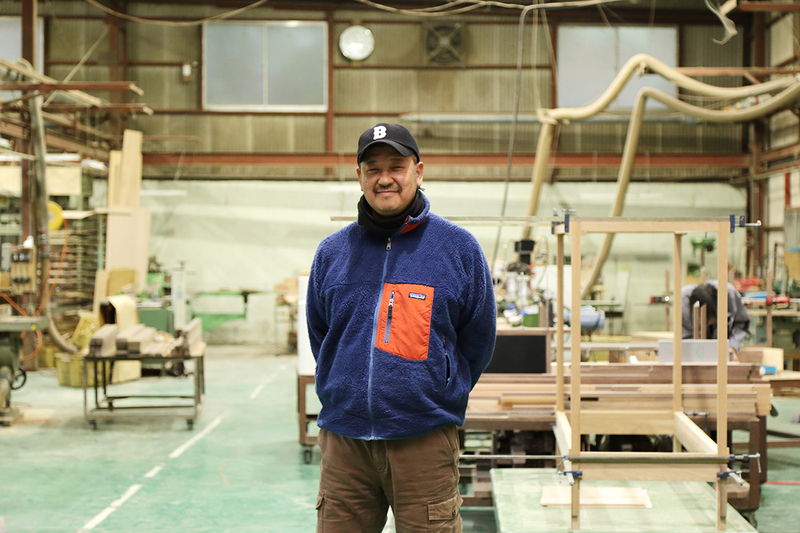 “This is furniture only we can create.” Mr. Fukumaki who felt inspired and confident of it started not only OEM production but also manufacturing tables and chairs under their own brand . He brought the three-way mitering technique and other techniques, such as whittling frames smoothly with use of wood cutting tools, into the furniture-making field, and started manufacturing “furniture that cannot be made by furniture manufacturers.” Although the brand is still relatively new, -brand furniture has become so popular that orders come from not only ordinary homes but also hotels and shops across Japan. “Since we are a small factory, we are not thinking about mechanization for mass-production. We are determined to make all products with our own hands. -brand stacking stools have slick and smooth textures. Catches are not found anywhere from their legs to the backs of the top panels. Mr. Fukumaki says, “The Italian word means smooth.” The brand name seems to represent their rock-solid confidence in furniture-making as is. DENTOU KOUGEI’s -brand tripod stools made of solid wood are placed in guestrooms. If you touch the legs and top panels, you will really feel the smoothness. The same brand benches are also available in special rooms. Established in 1983. Started business as a manufacturer of frames, folding screens, single-leaf screens and teaware in Joge-cho, where the culture of calligraphy is well-known. Established their own frame brand in 2012. Shifted their main business to furniture-making, and launched furniture brand in 2015. An event called “Kininaru Seikatsu Ten” is held within the factory premises each autumn. 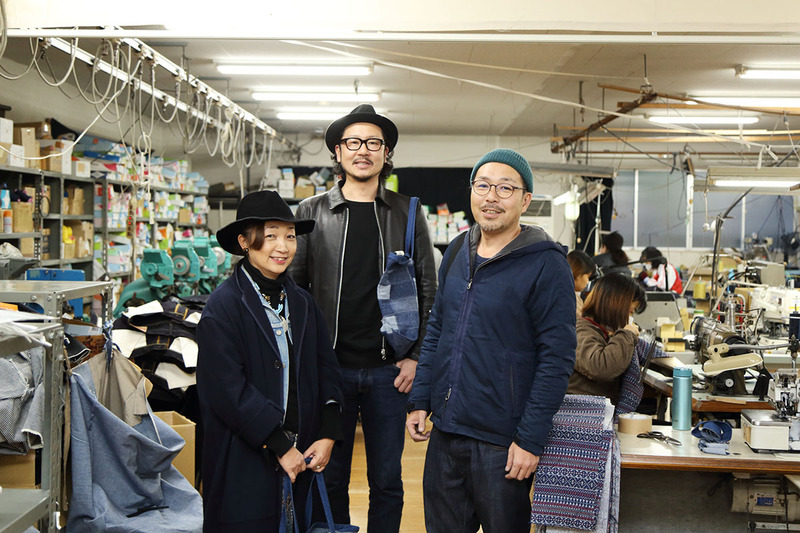 SETOUCHI HOLDINGS, INC.,　Textile Company / Meiwa Sangyo, Ltd.
From left, Ms. Mika Kuroki and Mr. Kazuya Yamaguchi from SETOUCHI HOLDINGS, INC., and Mr. Fumiyuki Meiwa from Meiwa Sangyo, Ltd.